Uruguay - Tax information exchange agreement with Brazil. Born Montevideo, Uruguay, September 3, 1963, admitted 1987, Uruguay. Montevideo Law School, LL.B., 1987. Harvard Law School, LL.M., 1988. "Foreign Investment in Uruguay: A Law and Development Perspective", 20 U. Miami Inter-Am. L. Rev. 359 (1989). "Termination of Distributor Agreements under Uruguayan Laws", 1996. "Taxation of Financial Investment Corporations", 2006. With Wilmer, Cutler & Pickering, Washington, D.C., 1988; with Mattos Filho e Suchodolski Advogados, Sao Paulo, 1988-1989. Lecturer, Supreme Court of Justice, Center for Judge's Continued Legal Education, 2002-present. Lecturer on Foreign Investment, Business Studies School, 1990-1991. 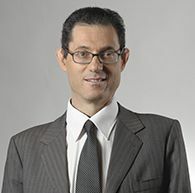 Chair, Tax Law, Montevideo Law School, 1995-present. Member: Uruguayan Bar Association, Uruguayan Tax Institute, American Society of International Law, Inter-American Bar Association, International Bar Association.